Our "CLASSIC GLASS" LED reflector spots look like conventional halogen lamps: and that is what they should do! By using glass, we've combined the latest LED technology and familiar design - and with excellent technical values (at 5W: 500 lm). No lamp can be more beautiful, better and cheaper. Our "CLASSIC GLASS" LED reflector spots look like conventional halogen lamps: and that is what they should do! 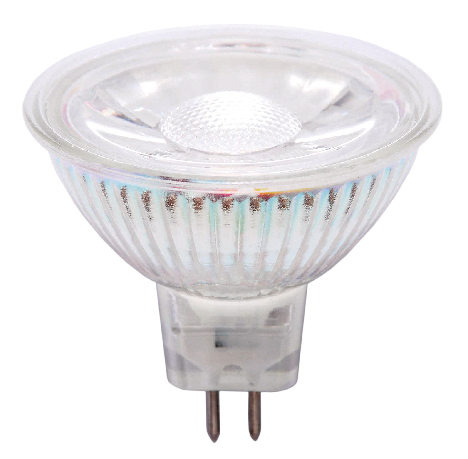 By using glass, we've combined the latest LED technology and familiar design - and with excellent technical values (at 5W: 500 lm). For use in GU5.3 sockets. The LED reflector spots of "MASTER" series are probably the best LED reflector spots on the market - with unique technical values and outstanding quality! For the replacement of conventional mini-spots amended GU4 / MR11 optimally suitable aluminum reflector spot with LED technology.